My favorite part of being a doctor is the opportunity to directly improve the health and well-being of my patients and to develop professional and personal relationships with them. Dr. Udaya Nath Sahoo is a renowned General Physician in Kendujhar. He has been a practicing General Physician for 49 years. He studied and completed MBBS. You can visit him at Gayarani Sevasadan in Kendujhar. You can instantly chat online with Dr. Udaya Nath Sahoo on Lybrate.com. Migraine: Is It Making You Sleepless? 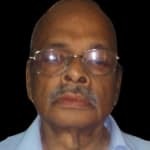 I found the answers provided by the Dr. Udaya Nath Sahoo to be very helpful, thorough, caring, sensible and practical. Thank you so much for getting back to me, I was recently diagnosed with Colitis and after being admitted to the hospital bc i was vommoting all day everyday for a week straight ive been dealing wit h this acid reflux and its very uncomfortable..but i truely appreciate u answering me!! Dr. Udaya Nath Sahoo provides answers that are very helpful. Thank you so much. I appreciate this immensely in depth response and it will be very useful to my research. Thank you! I found the answers provided by the Dr. Udaya Nath Sahoo to be very helpful, knowledgeable, helped me improve my health and well-reasoned. Thank u for well acknowledge. I found the answers provided by the Dr. Udaya Nath Sahoo to be very helpful. Thank u doctor for your valuable advise.I will try to follow u.thsnks again. I found the answers provided by the Dr. Udaya Nath Sahoo to be very helpful. Thank you sir.. i found better relief and motivation in your answer . I found the answers provided by the Dr. Udaya Nath Sahoo to be very helpful. Thank u so much doctor. Your suggestion releived me a lot. Dr. Udaya Nath Sahoo provides answers that are knowledgeable. Thank you for your kind suggestion sir. Much appreciated! I'm 23 years old male from india and I have a minor chest pain, 1 inch away from chest centre and also pain around right front shoulder and backside it's happening pain for last 15 days. It happens sometimes in day. I feel relaxed in night. When I wipe up with a little warm water then pain is finished. Hello, thanks for your query on Lybrate "as" per your clinical history is concerned do one ultrasound whole abdomen to rule out gallbladder stones as your problem related to right shoulder. For pain you can take (himcospaz caps) two tabs at a time three times a day. Do follow me with test report (ultrasound) hope that helps and wish you a good health. I am 25 year old girl facing the problem that I can't take breath easily I have to take breath from mouth. So I need some advice. Hello, thanks for your query on Lybrate "as" per your clinical history is concerned you can use (otrivin nasal spray) every 8 hours for blocked nose, add (actifed plus) tab twice a day for 7 days. Do check your blood differential count and if eosinophils % is high then you can add (unicarbazan fort tab) once a day for 21 days in bed time. Investigation- (nasal endoscopy) hope that helps and wish you a good health. My wife 40 years is suffering from fever and cough for the past one month (day after holi). Widal test negative. Tlc 11000, dlc 73 25 01 01 00 esr 09 hb 11 she is thyroid patient taking eltroxin 100 mcg. Hello, thanks for your query on Lybrate "as" per your clinical history is concerned do check her sugar level first and adjust dose and fasting blood sugar should be (70-110) mg/dl. Secondly her total count is high so bacterial infections is there so take one antibiotic ab-fax-ox tab) twice a day for 7 days and add (kofarest plus syrup) every 8 hours for cough. Do warm saline gargle every 3 hours. Hope that helps and wish you a good health. Im having high fever and headache from a week. Not able to eat anything coz of vomiting sensation. Hello, thanks for your query on Lybrate "as" per your clinical history is concerned you can take (cetadom tab)every 8 hours for fever and nausea, add antibiotics (ab-fax-ox tab)twice a day for 7 days. Investigations-rapid antigen test to rule out malaria hope that helps. My parents have been asking me to get married. I like a guy and told about him to my parents. Now that they have agreed I am flipping about. I do not want to get married. Thinking of getting married really scares me. I am not able to sleep at night and going through hell please help. I am 18 years old. And from 3 days onwards I am feeling like thickness on my left upper part of chest and feel pain when I press. And I am not having any other past health issue. Only this problem. And my mensuration cycle is up to date no issue with that. I encountered a seizure 4 days ago after a period of 5 years and my medications had stopped 2 years back only. I want to ask some questions related to my epilepsy. Hello, thanks for your query on Lybrate "as" per your clinical history is concerned do take medication as usual and you should not stop medication at all and to know current status you can do (mri scan and eeg test). Try to avoid alcohol, smoking and sleep in time and do yoga and meditations regularly. Hope that helps. Feeling pain in lower abdominal and in stomach. What should I do. And my periods are also not coming today is 17th days. Suggest me any solution. I am 23 years female. I was diagnosed with uti last month and had got urine test done and 4+ protein was detected. Later I got a urine test done along with blood test. Uti was still there and I am on medication for that but protein is 2+ now! is it a good sign! I am really worried. I don't have diabetes or anything. I am scared if I have ckd please can I get a response for this. Hello, thanks for your query on Lybrate "as" per your clinical history is concerned do take medication as per your treating doctor's advice and do few investigations like [urine culture, kidney function tests and ultrasound whole abdomen].protein in the urine is not good for health at all, so to know the exact pathological cause is important and take specific treatment for it. Hope that helps.